Being a pioneer has always come with a big challenge: making your way safely through a place that you’ve never seen before, learning and mapping it as you go. 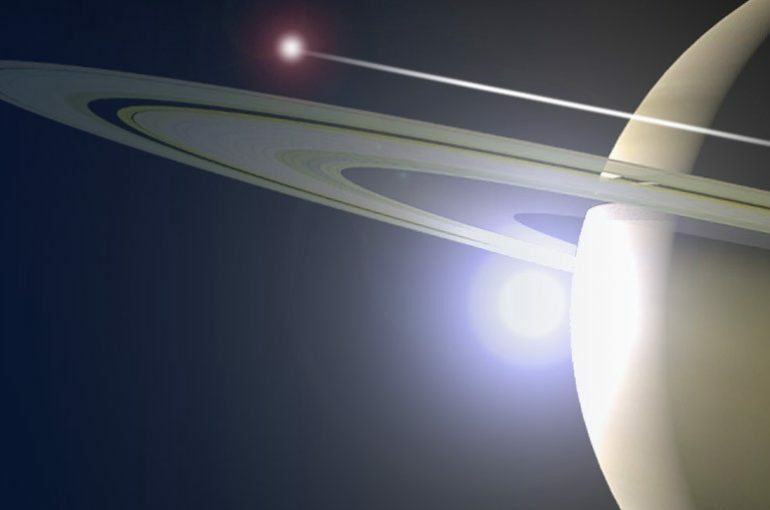 Project Saturn Wheel’s hypothetical Saturnian pioneer is no exception. Moving through an alien landscape, this pioneer — whether human or robotic — will need a vehicle that can save time and resources by detecting hazards and reacting quickly to avoid them. Now that we’ve left the horse-and-buggy behind, Earthlings sometimes take our navigation technologies for granted. But GPS satellites are in short supply around Saturn — and backup cameras won’t do much good in an uncharted, cloudy landscape full of hail-like ammonia crystals and winds gusting up to 1800 kilometres per hour. Unlike Earth, a gas planet does not have solid surfaces off of which sensors can bounce their signals. It doesn’t have mountains or trees or harbours or any other known features to use for reference. So how do you find your way around and stay safe in the process? The Saturn Wheel team is exploring three methods of navigation that could work on Saturn’s distinctive surface. The first method employs technology that helps Earthlings decide when to go to the beach and when to run for shelter. Meteorologists use radar to detect water droplets and measure weather patterns. However, if adapted to measure a different wavelength, a radar device could be used to locate dense ammonia droplets and alert Saturnian drivers to bad weather conditions. 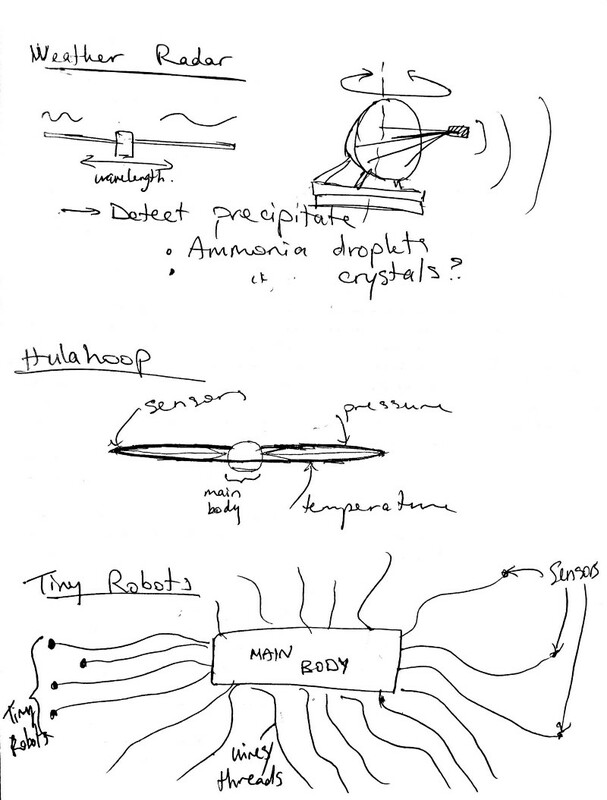 Alternatively, sensors could be attached to a “hula hoop” surrounding the vehicle. Much like a cat’s whiskers help it detect things farther away from its body, these hula hoops could greatly extend the driver’s 360° “vision” around the vehicle. They could detect changes in pressure, temperature and more, to give the driver a sophisticated sense of what’s happening around her. And just imagine a fleet of ringed cars zipping around the ringed planet! Finally, there’s a design straight out of a sci-fi novel: a set of sensor-packed, tentacle-like threads that anchor tiny robots to the vehicle. These little helpers would detach from the main body to scout ahead, alerting the driver of upcoming hazards. In the coming weeks, the team will choose one of these options for research and modelling. Keep an eye out for updates, because things are about to get interesting!